Just after midnight on May 3 the engineer of a westward-bound freight train witnessed an extraordinary scene as he barreled toward a railway crossing in Shirley, Massachusetts —a dog was frantically pulling an unconscious woman away from the tracks. The engineer made every attempt to stop the train but was unable to avoid striking 8-year-old Pit Bull Lilly before she could clear herself from the train’s wheels. The veterinary team concluded that Lilly’s right front leg could not be repaired and the only option would be to amputate the entire limb. Lilly braved this surgery on Saturday, May 5. After a short recovery she endured a second surgery to repair her pelvis and rear left leg—which is now supported with steel plates. Lilly’s is unable to bear weight or walk without assistance for the first few months after her surgery. Still, the veterinary team at Angell is optimistic that the spirit she showed as she rescued Christine may be just the trait that sees her through this new phase of her life. Once Lilly fully recovered from her surgeries she went home to live with David. Christine has moved in with David to help with Lilly’s convalescence. Lilly’s recovery will be monitored regularly by the veterinary team at Angell to ensure she has every chance of returning to her former self. This Mother’s Day Christine told her son that he didn’t need to get her anything because he had already given her the best present anyone could ask for— Lilly. I HAVE OWNED PITTS FOR OVER 25 YRS AND HAVE FOUND THE SAME TRUE LOVE THAT LILY DISPLAYED TO HER MOM AND THESE ARE SOME OF THE SWEETEST DOGS ON EARTH. GOING BY SHE SIZE IT IS TRULEY A MIRACLE THAT SHE WAS ABLE TO PULL CHRISTINE FROM THE TRACK. THESE ARE THS SMALLEST BREEDS OF THE PITS. I WISH HER AND THE REST OF THE FAMILY MUCH LOVE AND HAPPINESS YOU HAVE A VERY SPECIAL DOG HER NAME IS “LILY” GOD BLESS EACH AND EVERYONE. This is so special, had me in real tears, we have 3 pits and they are the sweetest most loving dog i have ever had, i wish i could have many more, if my home was only bigger—No bad dogs only bad owners! Can someone tell me which bank has her recovery fund? for the lessons we can learn from you as animal friends. They are the best dogs in the world I love them .I was also brain washed until my nephew adopted one from the shelter, at first his mother and I we tried to convince him to adopt another breed but he would not, the moment we saw Ben we fell in love with him. Ben is so gentle and loving ,about a year later my sister adopted her beautiful Pit bull ANNIE at the same shelter where Ben came from.These dogs were found roaming the streets of Lawrence and thank God they were rescued, they brought us so many years of love and joy. Such a strange world. My 28 year old cousin was sadly hit by a train on Mother’s Day and did not survive. I love dogs, and LOVE pitbulls. This story about Lily moved me to tears. She truly is a hero and you are so great for honoring her as you do. And for sharing her story with the world, so that all can see the beauty of these animals. And to push the “reset buttom” on the misunderstanding of these majestic dogs. Look forward to massaging u at the event in western ma on 9.15.12!!!! Pawfive! such a great story! hopefully this will reach out to enough people and educate them more about this breed. i absolutely adore my pitbull and many more people need to know how good of dogs they can be! Thank you for “putting yourself out there”, especially your mom. She is very courageous, knowing some people do not understand alcoholism or accept it as a disease. Perhaps Lilly, in the future, can pave another path, and become a Certified Service Dog for your mom (if not, a therapy dog). That way Lilly can travel with your mom on planes etc on a seat, not in “cargo” where it is uncomfortable. I have hear Therapy dogs can as well, but have not confirmed it. I have been following Lilly’s story since reading about it the day after the incident. I have been following her on facebook, and although I am a cat person, I am in love with Lilly and look at pitties in a whole new way. Donna,you took the words right out of my mouth! Congratulations on your web site…it is very professional! And, on getting your 501c3 status. 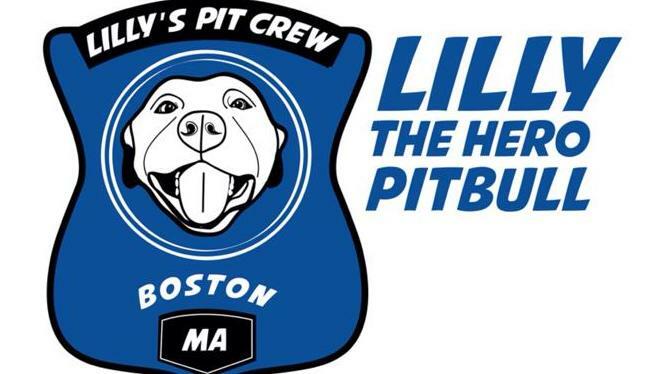 It is a lot of work, but pit bulls need all the positvie support they can get and they are lucky to have Lilly and David! Good luck with everything. I love Lilly and have followed her story since day one ! She is a hero and I love keeping up with how she is doing and what she is doing. I have had my Pit Bull for 12 years now, 2years ago I had a double brain aneurism and came about as close to dying as you can come. My pit was with me when it happen, I had surgery but now I have seizures now and again a small side effect I have to live with but , my Pit Bull Shebo is so in tune with me and so loyal and so devoted to me she warns me when I’m going to have a seizure. This not something she was taught, this is just pure love for her owner. People just don’t realize how devoted these dogs are and how loving they really are. They are a great family dog and nanny dog and Yes hero dog !!! All dog are heroes, aren’t they?! As I had mentioned a few months ago on your facebook page, Lilly, make sure your daddy nominates you for next year’s American Humane Association Hero Dog Award. If you submit your story as it is shown above, there’s no way you would not be a finalist, if not the Hero Dog winner!! Yes I alsothink her daddy should nominate for the American Human Association Award as well. Terrific dog saving a life and risking her own well done indeed Lilly. Was so glad to read about this. I also agree with this her Daddy should nominate her for next year’s American Humane Association Hero Dog Award. Lilly is a Hero Dog saving a life well done Girl run proud well done. I forgot to include in my post above that winners in their respective category, as well as the final winner, receive a large monetary award which will then be contributed to an animal charity of your choice. Awesome website Lilly! Keep rockin our world with your good nature and stamina! I would also like to mention that Lilly and her family suffered the loss of Penny, Lilly’s fur sister shortly after Lilly began her recovery at home. Penny’s loss is on the Facebook page. It is unimaginable having to go through everything and still coming out as strong as the family has. God Bless you all! Lilly, I am still so amazed by you and how you have shed a great light of hope for all pit bull dogs, you are a truly remarkable young lady for saving your mom, and I am so glad you can be here to share your story far and wide about your lovely breed. I hope one day I can own a full blood pittie like you as I think it would complete me. Hugs to my favorite girl in Boston, I hope to meet you one day. I have been following Lilly’s story from the beginning. I, like a couple of others above, almost had a fit when my son brought home a 6 month old female pit bull. She is now almost 8 years old and the absolute best dog I have ever had!! She is such a loving, wonderful, loyal, sweet dog and I don’t know what I would do without her. And, yes, she, too, has saved my life. Both physically and emotionally!! These dogs truly are the best dogs ever!!! Love me some pitties!! Aw sweet Lilly. I’ve been following her story on Facebook practically since they started it. She has made remarkable progress since the accident. Her biggest cheerleader is her dad David. Every video shows David encouraging her all the way. There’s no doubt about the strong bond David and Lilly share. Lilly your story is an amazing one!! I didn’t have much experience with pit bulls. Mostly hearing the news stories in the media. Walking past one, I hate to say I too would try to walk as far away as possible. Then I heard of Lilly and her act of bravery, love and loyalty. I then was able to meet her. Lilly is the sweetest dog. I got more kissses from her during our visit than from my own dogs in days! She truely is special. But reading all the stories and comments on her FB I realize I should not judge because they are Pit bulls, but on the individual dog, just like any other breed. Thanks David for sharing your sweet Lilly girl with so many. The two of you will make a difference in the way others think about Pits, you have for me. If you meet her you can’t help but love her and know how special she is!!! And if you have not met her, just look at all her pictures and videos. Her sweetness shows in all of them!! I have a pit named Lilly too. She is a lover. When I adopted her she had been so abused and used as a puppy mill that when you tried to pet her she would squeak and run. It took me two years before she finally trusted again. Today she is a happy puppy and is napping contentedly on my couch as I write this. It just breaks my heart to hear the long process your Lilly will have to go thru. Hope she heals up quick. She is a hero. A truely heart warming story. My thoughts and prayers are with Lilly and her family. I live in Ontario Canada where they have banned pitbulls. It is so sad that they are blinded by the stereo type some bad owners have created and banned these beautiful and amazing creatures. Now dispite this ban I have a 2yr old pitbull (part boxer) who is amazing. His name is Trigger. I also have 3 kids who are 4, 5, and 6yrs old. Our youngest dauhter is Autistic and has no concept of danger or safety and is a huge flight risk. Trigger must be aware of it because he is always awrae of her. If she gets outside he either comes to get us or stays right with her. He lets us know whe she is getting into things in the kitchen and when we get home he has to find her and make sure she is ok before anything else. He is truly amazing and I would defintly own more pitbulls in the future and reccomend them as amazing companions. this story has touched me,i am soo glad to hear lilly is recovering well! !pitbulls are so smart.i have one myself,named remi.i swear,when i speak,and play w her,she is almost like a human.i got remi when she was 11 months.she is 2 yrs old now,but my point is,when i got her,we were expecting to be moving.after 3 weeks of being w us,we moved to a new home.in the process of moving,remi had got loose from the old house,and found her way to the new house,which she only took the walk about 3 times.i was soo surprised,it was quite a distance,from one side of the city,to the other.crossing some main streets and all.of course,when i realised she was gone,i was scared,sad,and immediately went looking for her.when i found her in the yard of the new house,i was soo relieved!it feelt like i had lost my daughter.its amazing how she found her way after walking it just a few times,and only being w us about 3 weeks.and her old owners house being at the corner of where she got loose!she sure knows we love her,and she loves us.pitbulls are very smart,and very loyal!! !its sad they have a bad rep.,there is noo bad pits,just bad owners!! !again,happy to hear lillys story,and glad shes recovering well!! !enjoy ur amazing dog!!! Lilly- Your story is amazing and brought tears to my eyes. Your family is so lucky to have you- keep getting stronger. I missed your event in Boston- I was actually at ANOTHER dog event, but am so glad to follow you on FB and I wish you ALL the best. -Lisa. The Beauty of the soul is in all Gods creation. We have become the keepers of the creatures by choice or Devine direction. We accept this for ourselves. Why is it that when the tables have turned it is unbelievable or exceptional? Compassion for others or loved ones is Devine but not only a human trait. I love my dogs. It’s the owners that turn these dogs into “bad dogs.” That’s stereotyping and saying all Americans are fat and lazy. If you give an animal TLC and a good environment to grow up in, they will love you endlessly in return. People who classify all pitbulls as “dangerous and aggressive” should get of their high horse and realize the only reason these dogs are classified as dangerous and aggressive is because we humans have trained them to fight and be aggressive. You show them Lilly that all pitbulls are not the same! Hello my name is Jenne. I was at Lobby for Animals Day at the State House yesterday and was ecstatic to meet Lilly. I have owned Pitts for over fifteen years and they are the reason I went to fight yesterday. I am so proud of Lilly and we need to do everything we can to make these stories public. Also, I was not aware that you were a Boston Cop when I met you yesterday-David- thank you for everything you do every day. It was a great surprise to see Lilly at Lobby Day for the Animals at the State House! Thank you, Lilly, for coming and cheering us on to help animals in Massachusetts! The American Pit Bull Terrier is like all other dogs in that *early* socialization and training are critically important. If you have a Pit pup, be sure to take it to a trainer who knows how to socialize this breed, and use positive training, and no harsh devices (there are humane harnesses and halters that can reduce their propensity to pull on lead and help owners who need to keep their dog’s head turned away from other dogs). They are nearly always a breed that is cuddly and loyal to humans. Sadly, some of them are still genetically predisposed to be aggressive toward other dogs, which is often why they get into trouble and get such a bad rap. If you own one, it’s your responsibility to know the good and bad about them, and protect your dog from becoming a statistic. 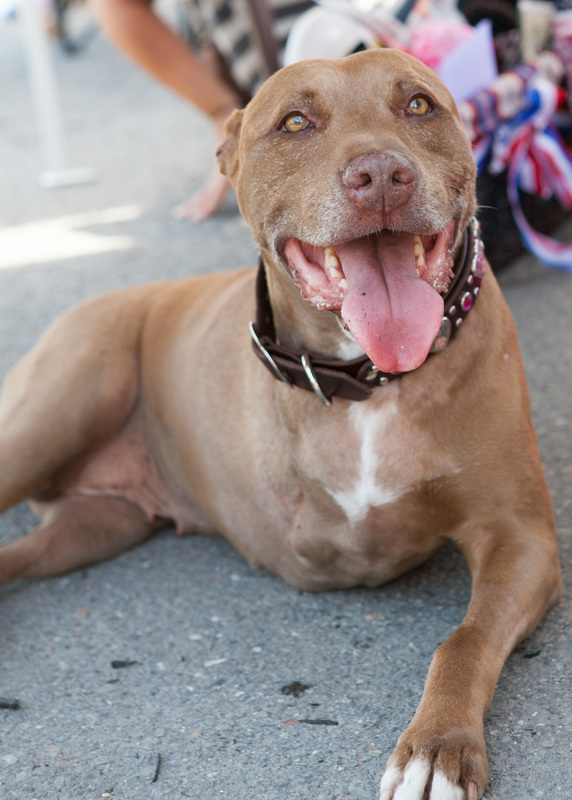 If you want to meet Lilly, I’m told she will be at the Paws 4 a Cure Walk in Wakefield, MA this Sunday, May 18th. Also, join the best Pit Bull page on Facebook – all positive Pittie all the time! Your Golden looks exactly like my Louis dog. I’m just in awe if this whole story. My sincere love to you all.